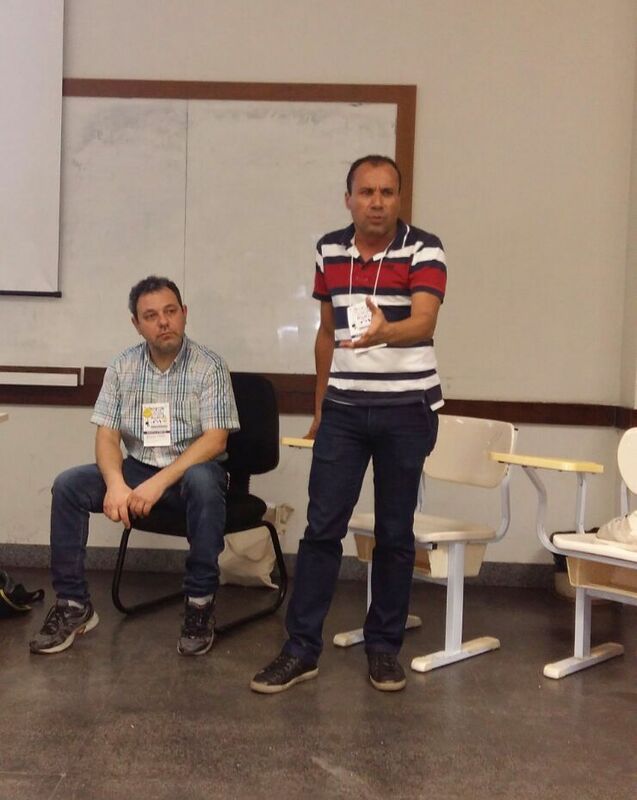 To transform the resistance into common actions and to move forward in the struggle, RIPESS LAC took part in the 2018 World Social Forum with an activity on March 15 at the Federal University of Bahia in Salvador, Brazil: “the movement of solidarity economy in Latin America and the Caribbean: cooperating in the network “. The intention was to increase the visibility and scope of RIPESS LAC in the Latin America SSE movement, strengthening alliances and seeking alternatives. The conference, with participants from seven countries (Colombia, Haiti, Chile, Venezuela, Nicaragua, Brazil, Spain and France), members of RIPESS LAC (Luciano Mina – Brazilian Forum of Solidarity Economy) and RIPESS Europe (Jason Nardi and Josette Combes) pointed out the need for RIPESS LAC to adapt to the new climate of the continent to have a greater presence in the movement, strengthen its work as its communication and open up to new networks and entities joining, such as the Brazilian network of educators in SSE, the Network of solidarity funds, the Congregation of the Good Shepherd, the University of Bahia, as well as business networks. We highlight the participation of colleagues from COLACOT, who showed interest in working together. 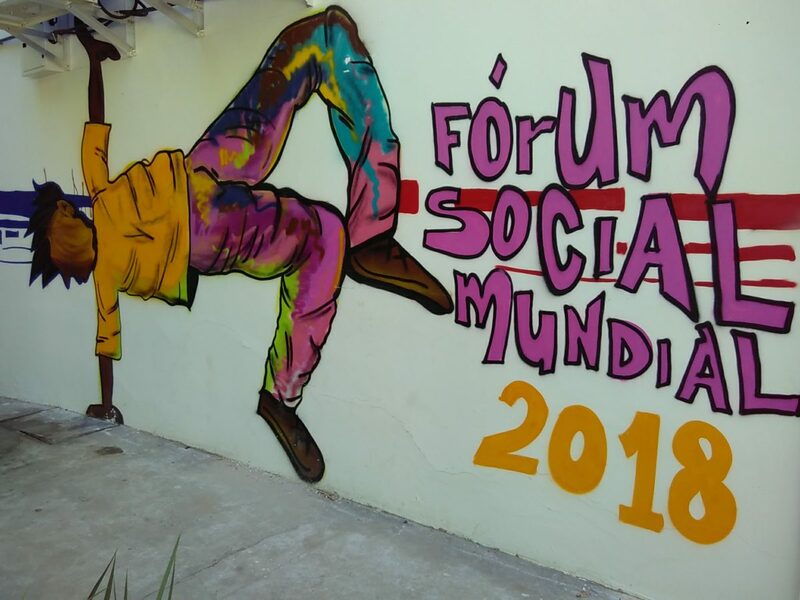 One of the outcomes of the meeting was a proposal for a new RIPESS LAC activity within the framework of the Third Social Thematic World Forum on Solidarity Economy to be held in July in Santa María, Rio Grande do Sul, Brazil, together with the 25th International Cooperative Fair. RIPESS LAC also attended the launch of the Campaign for a global Curriculum of the Social Solidarity Economy, an SSE educational initiative co-promoted by RIPESS and for which our working group is initiating new means of cooperation. The objectives, the charter of principles, its educational tools and the newly-launched mapping were presented. All this demonstrated the importance of RIPESS LAC being present in international spaces, collaborating actively by sharing their points of view and promoting SSE as a new model of sustainable and inclusive development, a model that, beyond generating income, works to ensure “el buen vivir” (Good Living). On the other hand, the FBES (Brazilian Solidarity Economy Forum) took advantage of the mobilization of its grassroots to hold an extended meeting of its national coordination, with the participation of more than 120 people from various sectors of the Brazil’s ECOSOL (companies, national network, managers, cooperatives and other ECOSOL activists) representing twenty Brazilian States, where a collective and participatory analysis of the national situation was carried out. This was the occasion to consolidate the Executive Secretariat, which will now be professional and centralized in Brasilia (DF). This also served to confirm that the Secretariat would be in charge of the CEA (Centre for Studies and Consultancy), focusing on mobilization and communication (email, website, CIRANDAS, Facebook, etc.). The next meeting of the national executive coordination was convened to take place during the ECOSOL Global Thematic Social Forum, and a national coordination meeting is scheduled to take place in December in Brasilia, to prepare the sixth National Solidarity Economy Plenary, which should be a moment to reflect on and rebuild the FBES and the solidarity economy movement. In these times of regression, the FBES leaves the WSF more united and mobilized to face the challenges that arise for the ECOSOL movement and for the Brazilian people, TEMER OUT! !